FOR SALE: This beautiful hand-made table made out of reclaimed worktop wood, steel bars and 3D printed parts. 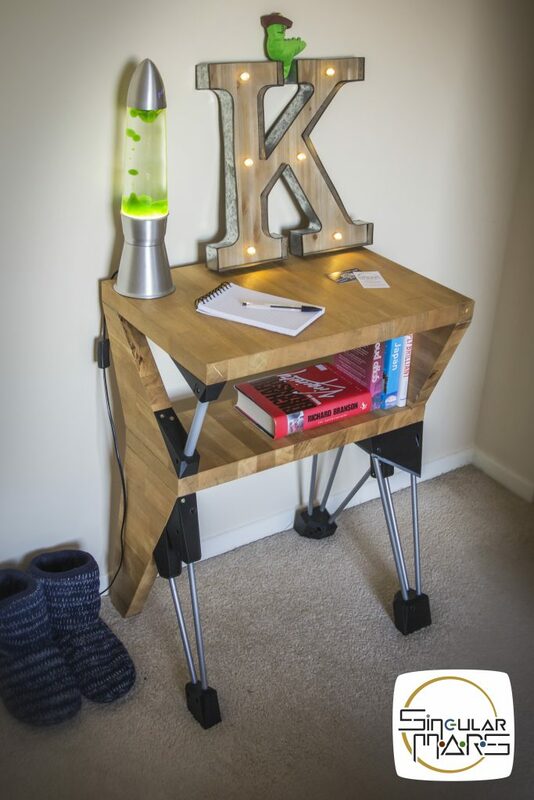 Ideal as bedside table, console table, small desk or for reception area, purchase now this one-off, bespoke, contemporary designed and hand crafted piece of furniture for £99. 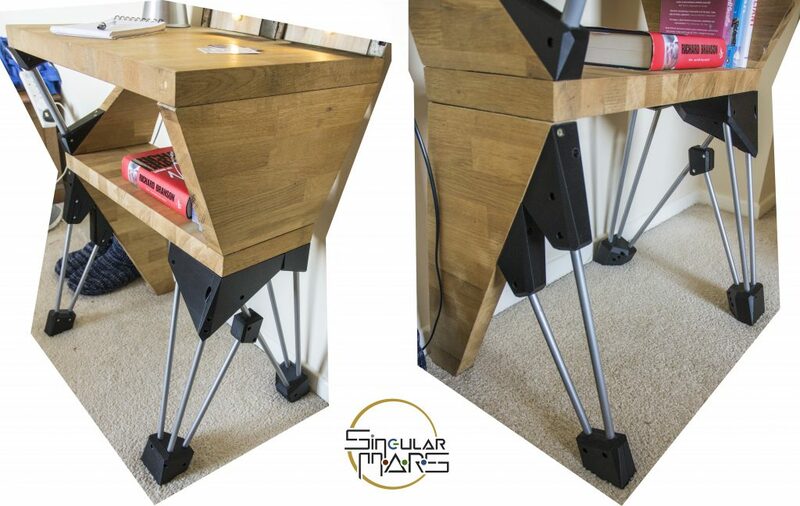 By purchasing this original piece of furniture you’re contributing to other recycling projects by Singular MARS and a 25% of the profits will be donated to the charity “Tree Aid“. As it’s a fragile and heavy item, it’s offered for collection only, to pick up from Reigate/Redhill. Delivery to other cities around South East can be agreed for an extra. The 3D model is available online (3D model in GrabCad and STL files in Thingiverse), for spare parts or in case you want to build your own. If interested, contact us to get it for £90 or alternatively, find it on eBay.